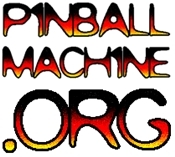 Pacific Pinball League Season 3 Finals – Luke Baxter takes the win! After 10 weeks of qualifying, 22 players competed in the PPM League 3 Season Finals, and what a Final it was! The format was 3 strikes (lose three matches and you’re out) and the lower seeded player got to choose the era (Modern, Solid State or Electro-Mechanical) and the higher seeded player got to choose the game. The tilts were mean and the action was fast, but in the end, Luke Baxter, one of the strongest new talents in the Bay Area defeated Phil Hellsten in the 11th Round to take the tournament. Thanks to the players for making this an awesome season, and thanks to the Pacific Pinball Museum for all their support. ← PPM League Week 9 – Time Attack!